Courtpath is based upon the need for a faster, more efficient method to e-filing for law professionals. It is designed with the user in mind. It makes each e-filing step as user-friendly as possible while maximizing efficiency and performance. Have all of your cases at your fingertips. Courtpath gives you the ability to view all your cases and access any documents filed with the court. Courtpath’s streamlined information gathering process makes e-filing quick and easy. 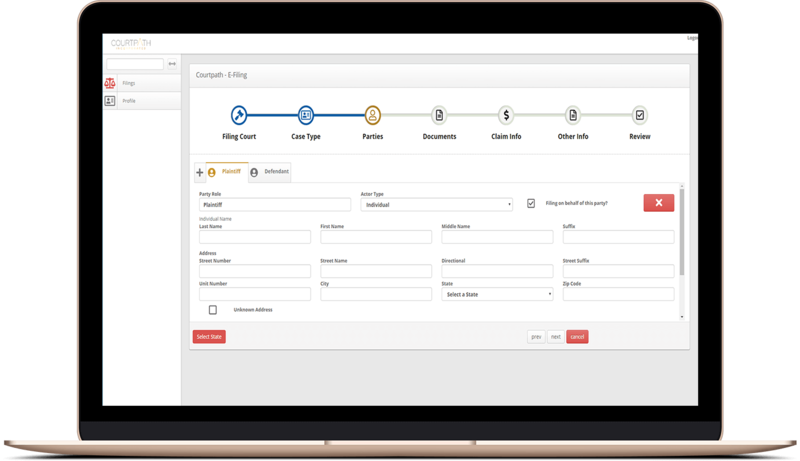 Courtpath’s step-by-step process provides all required case and party information fields for e-filing and gives you the ability to review your filing prior to submission to the court. Access you cases and file documents from any device. Courtpath gives you easy access to the court. Courtpath uses state-of-the-art security to ensure your clients’ information is protected in transmitting to the court. 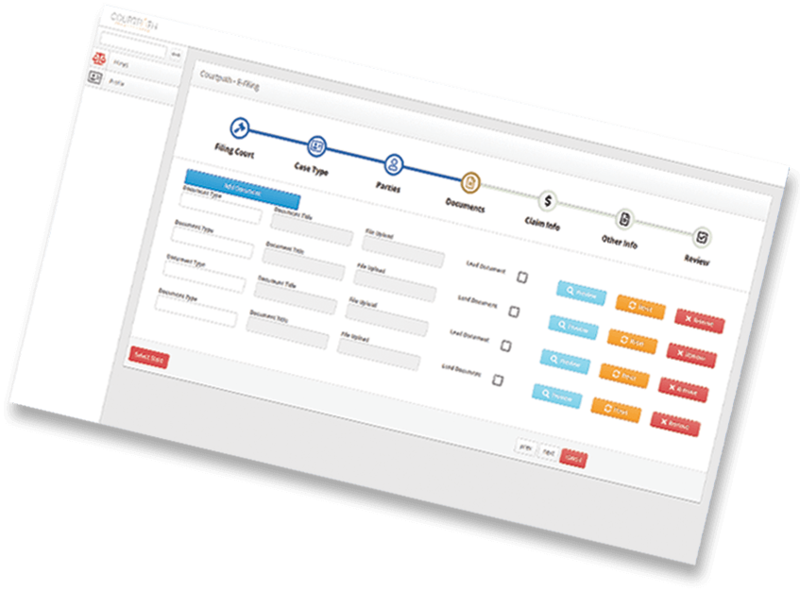 With Courtpath, you save time, energy and money due to its streamlined filing process. Courtpath makes e-filing quick and simple. 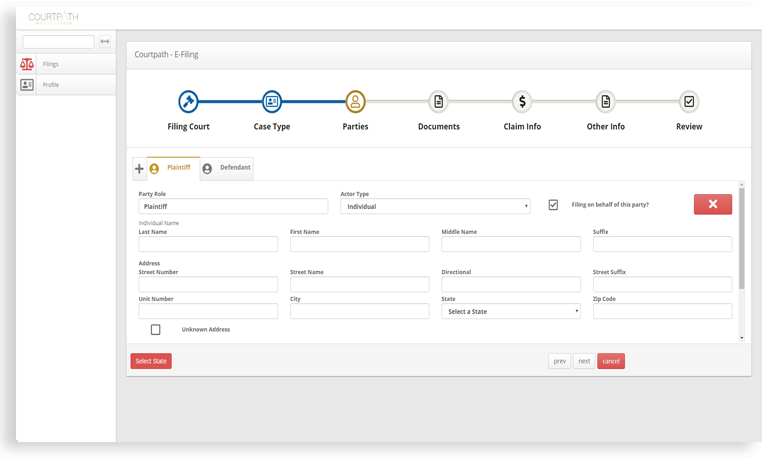 With Courtpath, you can view your cases and submit filings from any device. 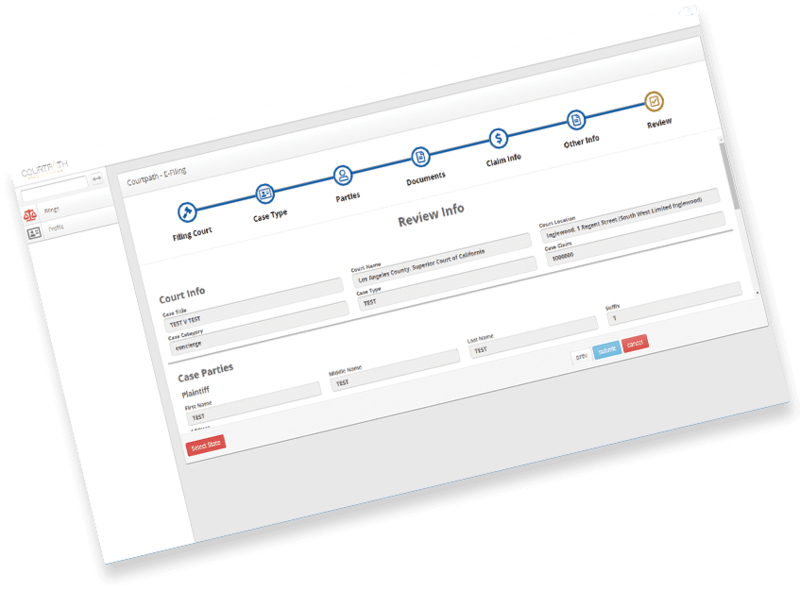 Courtpath provides searchable case lists allowing you to find the right case by case number, name and other filters. You can download and print any document submitted to the court. With Courtpath, you have access to electronic case files for your cases that reduces paper waste. With their low-cost samd design, Courtpath is at the forefront of e-filing. Incredibly intuitive e-filing service that anyone can use. 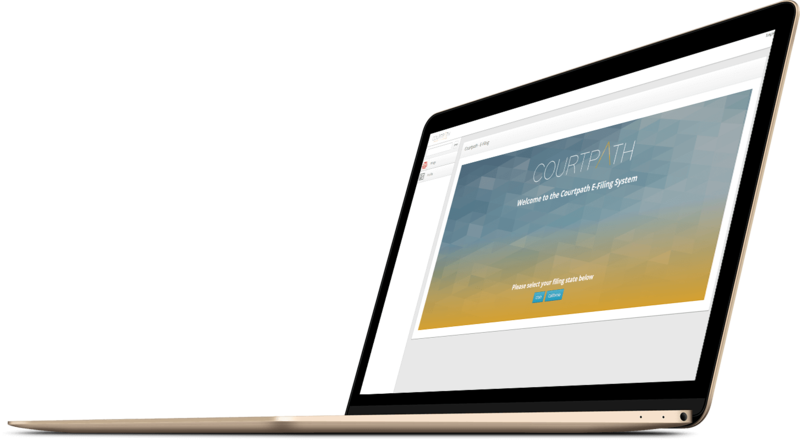 With a modern, sleek and easy-to-use website, Courtpath blows the competition out of the water. Out of the E-Filing systems I have used, this is the best one. Clean and slick app makes it easy to use and find all the items you need. I highly recommend it and would prefer it over the other filing systems out there. This is an awesome product. It makes my job a lot easier!